At Anchor Bank we are committed to protecting your privacy and security. 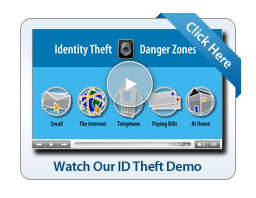 Below are some some resources to help you prevent identity theft and reduce the risk of potential threats. Avoid online solicitations for easy money. Use online banking to protect yourself. Monitor your financial accounts regularly for fraudulent transactions. Sign up for text or e-mail alerts from your bank for certain types of transactions, such as online purchases or transactions of more than $500. Who: Malicious actors intend to cause harm in cyberspace, such as a hacker stealing personal information. Benign actors accidentally cause harm to a network, system or the Internet, such as an employee who accidentally downloads malware onto their company’s network. What: Malicious actors exploit the anonymity and vulnerabilities of the Internet using methods that range in sophistication from botnets to viruses. Benign actors introduce threats through simple actions that can range from clicking on an unknown link to using a USB drive. When: It is impossible to predict when a cyber-incident will occur. Where: Cyberspace, often interchanged with “the Internet,” is created by and accessible through computer networks that share information and facilitate communication. Unlike the physical world, cyberspace has no boundaries across air, land, sea and space. Why: Benign actors unintentionally and often unknowingly cause harm while malicious actors may have a range of motives, including seeking conﬁdential information, money, credit, prestige or revenge. There are many risks online, some more serious than others. The majority of cybercriminals are indiscriminate; they target vulnerable computer systems regardless of whether they are part of a government agency, Fortune 500 company, a small business or belong to a home user. For more information visit www.dhs.gov/stopthinkconnect. If you let your operating system, web browser, or security software get out-of-date, criminals could sneak their bad programs – malware – onto your computer and use it to secretly break into other computers, send spam, or spy on your online activities. There are steps you can take to detect and get rid of malware. Go to http://www.consumer.ftc.gov/articles/0011-malware for helpful information on how to avoid, detect and get rid of Malware. Your Social Security number, credit card numbers, and bank and utility account numbers can be used to steal your money or open new accounts in your name. So every time you are asked for your personal information – whether in a web form, an email, a text, or a phone message – think about whether you can really trust the request. In an effort to steal your information, scammers will do everything they can to appear trustworthy. Learn more about scammers who phish for your information from the Federal Trade Commission. Go to http://ftc.gov/phishing. Law Enforcement are aware of ATM skimmers in Washington State. The photo below shows the minimal change the skimmers can make on an ATM. This photo is just one example of a skimmer being used. If you have any questions or concerns please contact your local branch or call (800) 562-9744. Several Timberland Bank ATM machines throughout the Northwest were discovered to have had ATM Skimmers attached to them. To read more about the incident click here. Always be aware of your surroundings when using an ATM and review your statements for discrepancies. If you feel your account or debit card has been compromised contact your local branch or call (800) 562-9744 right away.